To search for a specific product you can use the Sidebar feature, in case this is enabled from the backend. This allows you to use the search function or navigate through categories. 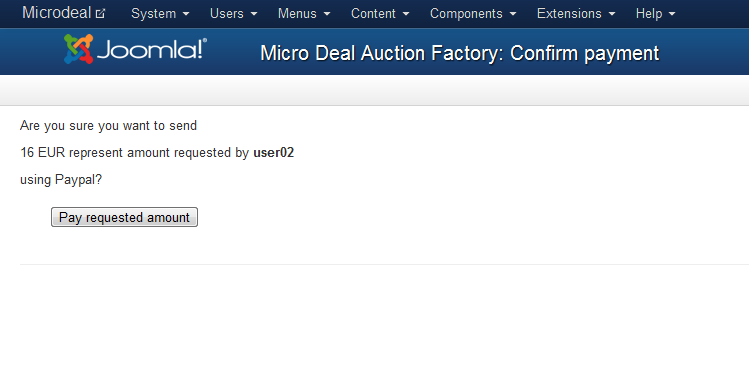 You can also use the List deals page from the main menu to display a listing of all the available deals. After you have found the deal you were looking for, click on it and you should see the product details such as the availability period, the quantity of items sold and items remaining, description, buyers feedback and more. In case you wish to buy the product/service click on the "Buy deal" button. The price will be displayed between brackets. Furthermore, you can see the exact item you wish to purchase, along with the quantity and the total price needed to be paid. Choose the desired payment method. Select either Moneybookers or PayPal and then click on Buy deal. The last step is to confirm the order, verify it and click on the Buy now button in case you chose PayPal. By going to Earnings/Purchases you can request a withdraw or verify the status of your earnings, received orders and purchased deals . The My Earnings tab allows you to check the total amount you earned, how much you have withdrawn or if you have an amount on pending to be withdrawn which will need confirmation from the backend. You can request a withdraw by adding a value and clicking on the Withdraw button. From that value, a fixed percentage set in the backend will be charged by the website. A minimum amount restriction for withdrawals can also be set by the administrator. This will be displayed on the INFO section along with other details such as the used currency or used gateway. 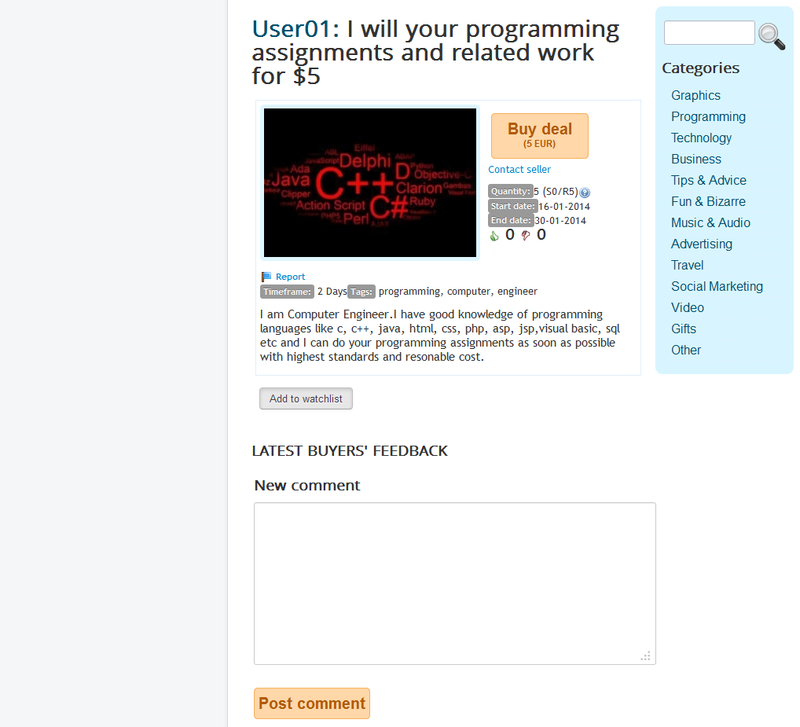 This is how the requests look on the backend while on the Users page. Note that the formula used in this situation is Amount requested - Site commision = Amount to pay. After you have pressed the Pay now button you will need to confirm the payment. Click on Pay requested amount to proceed. In the Orders received tab, you can check various information regarding the items you sold. Here you can see the title of the item, the price, quantity, and the buyer's name. In this section, you will also have to manually modify the status of the item once it has been delivered. The Deals Purchased tab displays a list of the items you have purchased with information about the item like the title, price, quantity and name of the seller. The same case as in the orders received, you will need to manually modify the status of the item once it has been delivered to you.